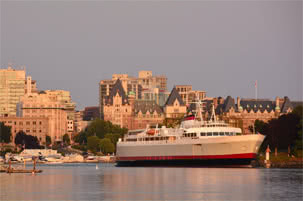 Sitting just north of Victoria, Saanich is the largest municipality with a population of around 110,000. 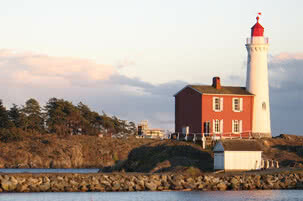 Saanich is comprised of a wide range of neighborhoods, established and new, suburban and rural. In the mid 1800’s when Europeans arrived to settle the area, they cleared the largely forested land creating farms to supply the fast growing population of Victoria. There are many heritage buildings that have been preserved from this period and you may learn more about them if you check out the history page on the District of Saanich website. At present Saanich contains many distinct neighborhoods and diverse housing options including apartments, condos and multifamily housing as well as single family residences from modest to grand. 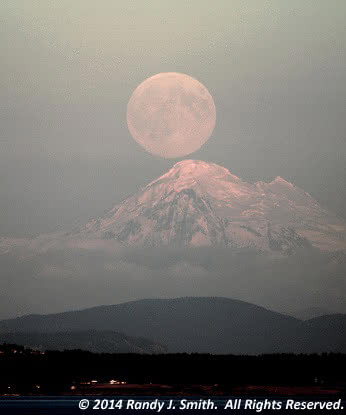 There are upscale neighborhoods and typical suburban neighborhoods, also rural residential and acreage properties. Saanich possesses over 18 kms of oceanfront and several freshwater lakes so there are also lovely waterfront and waterview properties. As some of the older neighborhoods are being rejuvenated, small post war housing is being replaced by newer homes and townhouse developments. There are 35 distinct neighborhoods within Saanich, including: East and West Saanich, Royal Oak, Broadmead, Prospect, Elk and Beaver Lakes, Tillicum, Gorge, Cordova Bay, Mt. Doug and Gordon Head. These range from distincly rural to solidly suburban and there is a variety of properties that ensures people will be able to find something to suit them. If you are considering moving to Victoria , you can learn more about the neighbourhoods of Saanich here. Both of the main campuses of Camosun College; the original Lansdowne campus and the Interurban campus are located in Saanich and the University of Victoria sits on the border of Saanich and Oak Bay. An important venue for astronomical study, the Dominion Astrophysical Observatory is located on Observatory Hill on West Saanich Road. The Galloping Goose and Lochside Trails. Saanich offers biweekly garbage pickup and the Capital Regional District (CRD) provides curbside recycling, see their website for schedules and allowable items. The municipality operates its own police force and fire department to protect residents. Most areas have access to municipal water and sewer systems but some rural properties rely on wells and septic tanks and fields. This municipality has prospered because it has much to offer and many people choose to make Saanich their home. There are many varied opportunities for employment as well as access to post secondary education. The wonderful climate allows for an outdoor lifestyle year round and the most beautiful small city in Canada; Victoria is just next door. Saanich is – and will continue to be – an excellent place in which to live! It can be hard to describe what Living in Victoria is like with words alone, it’s so amazingly beautiful, and packed with local treasures to explore. 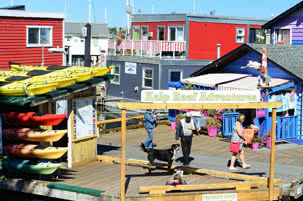 Check out the Cedar Hill/Maplewood neighborhoods of Victoria BC. Explore Cadboro Bay at Smuggler’s Cove Pub, Gyro Park, Pepper’s Grocery and more.